Robert Mueller appears laser-focused on Roger Stone. These emails explain why. Emails shed a light on why the special counsel is focused on Roger Stone. A series of email exchanges between a pair of Trump loyalists shed fresh light on special counsel Robert Mueller’s intense focus on longtime Trump political adviser Roger Stone amid the ongoing investigation of Russian interference in the 2016 election. Two emails sent by Stone to his associate Jerome Corsi, a former Infowars bureau chief known for promulgating political smear campaigns and conspiracy theories, show that Stone instructed Corsi to contact Julian Assange, the controversial WikiLeaks founder, about the imminent release of information meant to damage Hillary Clinton’s campaign for president. A third email suggests that Corsi -- who Stone hired to conduct research in advance of the election – was successful in establishing a line of communication to Assange and later informed Stone of the pending release of information the special counsel has alleged was provided to WikiLeaks by a hacker with ties to Russian military intelligence, perhaps drawing a link between the Trump campaign and Russian operatives. 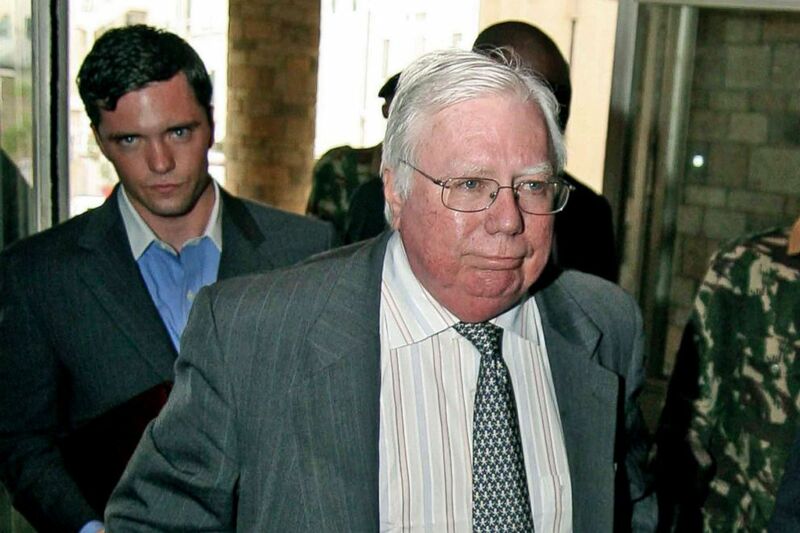 (AP) Jerome Corsi arrives at the immigration department in Nairobi, Kenya, Oct. 7, 2008. Corsi, a conservative writer and associate of President Donald Trump confidant Roger Stone says he is in plea talks with special counsel Robert Mueller's team. "Get to Assange," Stone told Corsi in an email dated July 25, 2016, noting that WikiLeaks was preparing to release emails that "deal with [the Clinton] Foundation, allegedly." On July 31, Stone suggested Corsi should send London-based conservative author named Ted Malloch to see Assange. And on August 2, Corsi responded to Stone with details that describe the hacked material WikiLeaks was preparing to release. "Word is [that our] friend in embassy" -- a reference to Assange -- "plans 2 more dumps… Impact planned to be very damaging," Corsi wrote. "Time to let more than Podesta to be exposed as in bed w enemy if they are not ready to drop HRC. That appears to be the game hackers are now about." 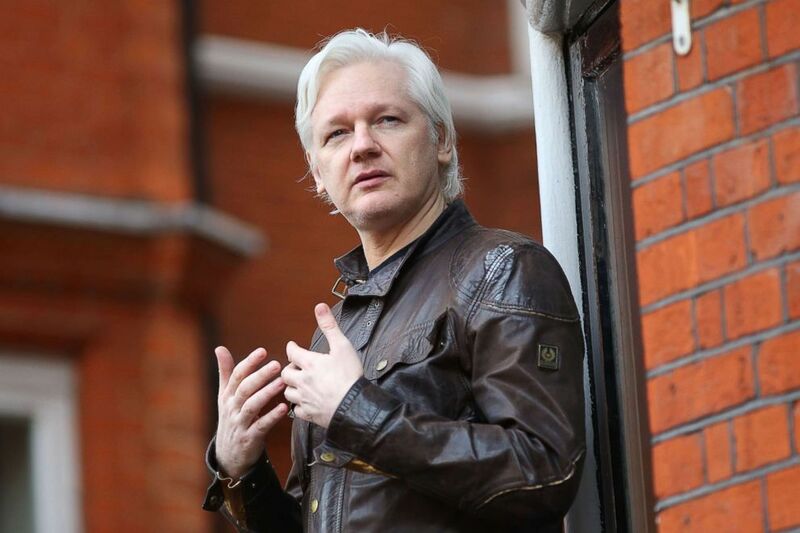 (Jack Taylor/Getty Images, FILE) Julian Assange speaks to the media from the balcony of the Embassy Of Ecuador, May 19, 2017, in London. The authenticity of the emails, provided to ABC News by a source with direct access to the exchanges, were confirmed by Stone and two separate sources. They also appear to match those cited by Mueller in a draft of a plea agreement Corsi told ABC News he was offered by the special counsel in exchange for his cooperation. Corsi told ABC News that he rejected the special counsel’s offer because he could not sign on to a plea deal for a crime he says he did not commit. "If I have to go to jail for the rest of my life, so be it," Corsi said. "Have at it. I will not tell a lie to a federal judge or anybody else. They will not get me to commit a crime." For John Cohen, a former acting undersecretary of the U.S. Department of Homeland Security who is now an ABC News contributor, the emails not only signify that Mueller “has amassed a significant amount of information regarding interactions between people associated with the Trump campaign and potentially those who were identified in previous indictments as being involved with Russia's efforts to interfere in the 2016 election” but also cast doubt on Stone and Corsi’s repeated assertions that they had no advanced knowledge of WikiLeaks’ plans. "Based on the level of detail in the emails," Cohen said, "it seems implausible that Jerome Corsi simply figured what Wikileaks intended to do as it relates to the WikiLeaks releases." Despite what these emails appear to suggest, both Stone and Corsi maintain they had no foreknowledge of Wikileaks’ intentions to leak stolen emails meant to cripple Hillary Clinton’s bid for the presidency. In a statement to ABC News, Stone said, "I continue to see that my friend Dr. Jerry Corsi is being harassed by the Special Counsel, not for lying, but for refusing to lie. 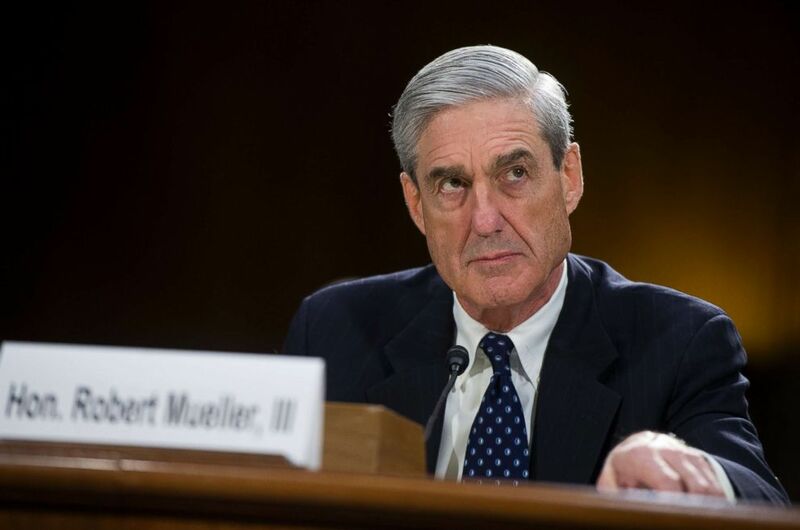 It is inconceivable that in America someone would be prosecuted for refusing to swear to a false narrative pushed on him by the Muller investigators." "If Jerry ever deduced that Mr. Podesta’s emails had been purloined and would be published by WikiLeaks, he did not share that conclusion with me," Stone added. "I never received advance notice, from anyone, that Podesta’s emails had been 'nicked' ... and would be published. As Dr. Corsi has said I have no knowledge of any contact or Communication with Julian Assange or Wikileaks by Dr. Corsi." 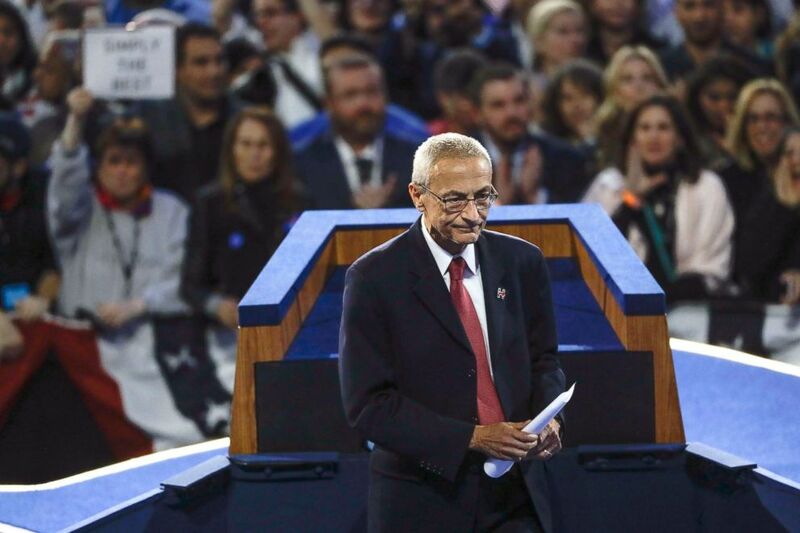 (Matt Rourke/AP, FILE) John Podesta, Hillary Clinton campaign chairman, walks off the stage after announcing that Clinton will not be making an appearance at Jacob Javits Center in New York as the votes were still being counted on election night, Nov. 9, 2016. And when asked by ABC News who provided the information that prompted him to appear to inform Stone that WikiLeaks “plans 2 more dumps,” Corsi said he could not recall. "I assume I was embellishing my own [access] ... to make it sound like I may have had a source, so it would be more convincing to Roger. I think I did embellish my own position when I wrote that email," Corsi told ABC News. "I don't remember precisely, but the point is, I never had a contact with Assange, or any indirect contact with Assange, and regardless of how I positioned that email, I was telling, to Roger Stone, what I had figured out." Corsi may have been aware, however, that the emails could create a problem for him. In the purported draft plea agreement, the special counsel also alleged that Corsi attempted to delete them. "Between approximately January 13, 2017 and March 1, 2017, CORSI deleted from his computer all email correspondence that predated October 11, 2016, including Person 1’s email instructing CORSI to 'get to [the founder of Organization 1]' and CORSI’s subsequent forwarding of that email to the overseas individual." Corsi didn’t directly address that allegation in his interview with ABC News, but insisted he had not lied about the exchanges but merely failed to remember they took place. His memory, he said, is "faulty." He amended his testimony, he said, after the emails were recovered.